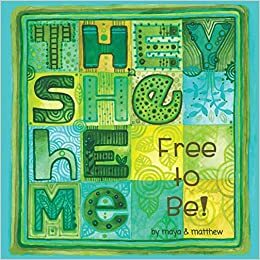 They She He Me: Free to Be (2017), by Maya and Matthew Smith-Gonzalez, is a celebration of diversity in its many forms. People with different boy-types, skin-tones, and gender expressions are thoughtfully illustrated above a variety of pronouns that are repeated across the two-page spread. The text suggests that gender is not written on the body but is instead a personal identity that can change over time. It seeks to uncouple gender from the body while simultaneously troubling a gender binary. The creators provide lots of useful backmatter that explains gender, pronouns, and the importance of inclusivity. I think this is a lovely teaching aid that will encourage discussions about the social and personal dimensions of gender for all ages.